Brian O'Driscoll says Ireland's centre pairing of Robbie Henshaw and Garry Ringrose is among the best in the world and could play a crucial role in dethroning reigning world champions, New Zealand. Discussing Joe Schmidt's strength in depth at inside and outside centre, the former Ireland captain highlighted some of the weaknesses in the current All Blacks team, which are at odds to the talent within the current Irish panel. "I think we're better than [the All Blacks]," he said. "I don't think they've been able to replace [Ma'a] Nonu and [Conrad] Smith. "Because they've had [Beauden] Barrett who's carved teams up on his own and been so exceptional over the last three years, he's made life a little bit easier for his centres. "Sonny-Bill [Williams] hasn't quite been at the standards that he's previously set. [Malakai] Fekitoa has obviously moved on. 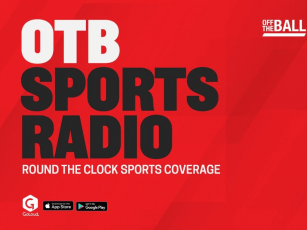 [Anton] Lienert-Brown has been in and out of the team." Ireland has not often had the opportunity to celebrate the Ringrose-Henshaw partnership due to injuries to either player - Ringrose and Bundee Aki were selected to start in Ireland's win over New Zealand in November. "You can't help that," O'Driscoll admitted. "I do think that's a partnership that could go for another seven or eight years." 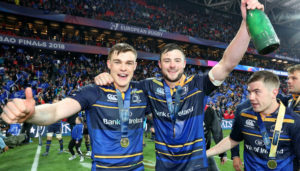 Leinster and Ireland centres, Garry Ringrose (left) and Robbie Henshaw. Speaking to the talent that the world champions still boast, the former Leinster centre identified those who he thinks could challenge for a place in this Irish team. "Sonny-Bill gets in when he's fit. When he's going well, I think he'd get in the team. "Ryan Crotty is a nice player, broke our hearts years ago. Would I pick him ahead of Henshaw? I don't think so. "And I wouldn't pick [Jack] Goodhue ahead of Garry Ringrose. No way." Ringrose as good as Smith? Ireland's relative youth makes for optimistic reading heading into this year's World Cup. With a succession plan in place following Schmidt's departure after the tournament in Japan, there will be some who are likely to remain in the picture for the competition for France 2023. At 23, Ringrose is one of the youngest in the squad and O'Driscoll was quick to temper expectation regarding whether he is now of the quality of Conrad Smith. "No, not yet. But he'll get there. Smith was one of the legends of the game. From a player perspective, he got the kudos [he deserved]. "I don't know if the man on the street had as much of an appreciation for him." (L-R) New Zealand's Conrad Smith, Daniel Carter and Kieran Read were all pillars of the All Blacks' World Cup success in 2015. You can read more from Brian O'Driscoll previewing England's Six Nations squad right here.